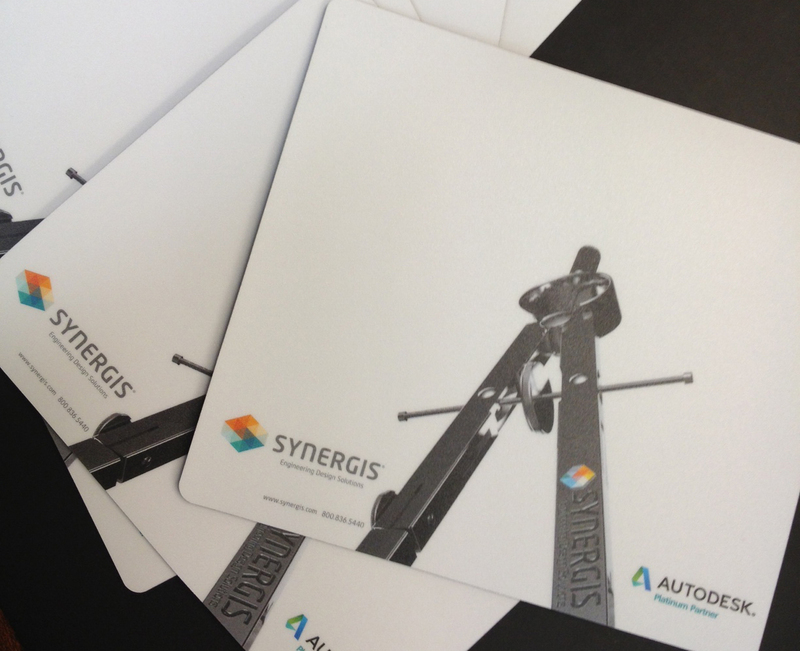 Thank you for joining us for Synergis University 2013! With over 250 experts, educators and industry professionals in attendance it was an exciting day packed with endless information, thought-provoking conversation, and new perspectives on workflows, industry and technology. Speaking of technology, our opening Keynote, Lynn Allen, spoke on “Autodesk 360 – Embrace the Cloud” in your regular workflow to increase efficiency, have additional tools that reduce your hardware budget, design time, and material waste in testing design errorss. She spoke about the Autodesk Apps available, many for free, as add-ons to the software you already own. Attendees learned about rendering and simulating in the Autodesk cloud environment, Autodesk 360. Using the power to run operations that would take many hours can now be trimmed to minutes with the virtually unlimited power of cloud processing. She gave many examples of uses and companies that are embracing the cloud to keep their business ahead. After Lynn, the first sessions available each covered a different 2014 Autodesk Design Suite, overviewing how the new products and features in the suites can improve efficiency in your overall workflow. After that, attendees chose from over a dozen presentations for the rest of the morning. During lunch we had 3 special lunch and learn sessions and one general lunch at Emeril’s Chop House. One lunch learning session was to learn about the best design programs in our region in both high school and post-secondary education. The Student winners, Jeremy Bilotti and Sean O’Mara presented their design for the Synergis Student Competition and covered how they used many of the Revit Apps available, rendered in the Cloud to create realistic 3D images and phased the project with Revit tools. It was quite impressive at the high school level, which is in great part due to the instructor, Tim Leicht. This is the second year in a row that Tim’s students have won first place in this competition. After lunch there were dozens of sessions available from manufacturing to building. Everything from concept to final renderings, and the processes in between, were covered by our Synergis Technical team and Autodesk specialists. One session to note presented by Tanya West of Autodesk, was on Autodesk ReCap which is featured in all of the Autodesk 2014 Design Suites. Tanya spoke about how it is saving many companies time when they do not have drawings or design files to work with. Now you can take overlapping pictures and ReCap will give you a drawing with some initial starting points so you don’t have to start from scratch. Although there is a version for laser scanned images, with ReCap Photo, you do not need to invest in an expensive scanner purchase or rental. At the end of the day, we had a short wrap-up and a drawing for a couple prizes. Don C. from Flexicon won the AU pass and Chris V. from Turner Hydraulics won the iPad. Congratulations! Overall it was a great day! Our team had the chance to speak face to face with our customers, understand more about their processes and give suggestions on improving efficiency and workflow. We would also like to mention that all attendees received a mouse pad that has a compass designed and rendered by our own Jesse Evans. He used tools available in almost every Autodesk Premium Design Suite. If you didn’t pick one up, let us know and we will send one! If you missed SU13, you missed a lot. We do have some presentations and documents available on our SU13 Resources page and more are being posted as we receive them from the presenters. Thank you again and we hope to see you at SU14!